In accordance with central Real Estate (Regulation and Development) Act, 2016 the RERA rules finally comes in force on 1st May 2017. The Government of Tamil Nadu has missed the deadline for the assurance of RERA Rules although a draft copy has been released which is subject to ratification. Chennai being the capital city of Tamil Nadu- has been a focal point for investors and developers since mid-2000 because till now it is considered as a hub of investment for home-buyers. As the government has failed to ratify the RERA rules, the buyers and residents are left in a wobble which may have a gloomy affect over the real estate sector in Tamil Nadu. 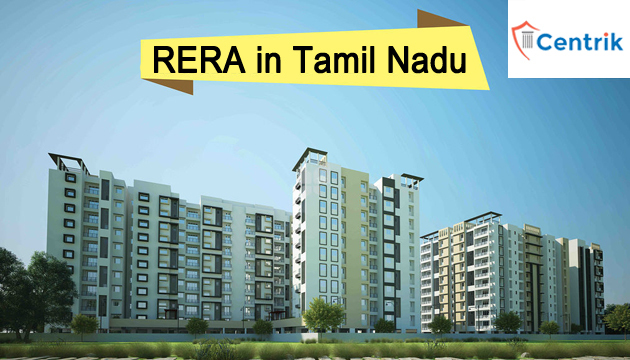 RERA (Rules Estate Regulatory Act) 2016 for Tamil Nadu, intent to cater relief to consumers and generate faith and confidence of buyers in relation to real estate sector as developers or builders have been sent a wake-up call to register and comply with the RERA Rules. The aggrieved buyers are pinning the blame on the government for their helplessness. Whereas CREDAI, the private realtor body has claimed that the state government is committed to bringing RERA into effect. Many aggrieved buyers has seek the help of police commissioner, the chief minister’s complaint cell and local authorities against their complaints. IAS K Nadakumar assure citizens “The state government has been working to bring RERA into effect and was in touch with us with regards to frame-working the RERA in Tamil Nadu, but there was a delay because of some internal issues… It’s only a matter of time before RERA is brought into effect here,”.